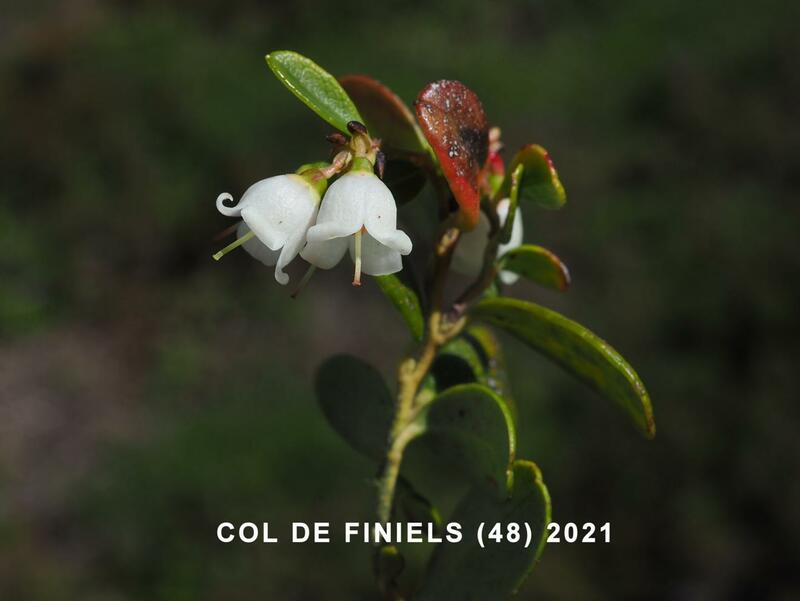 Habitat: (view in new page) :Secondary : Active deep peat bogs, Lowland heath with heather or bilberry, Heath on the summits, Scotts pine forest on silica. 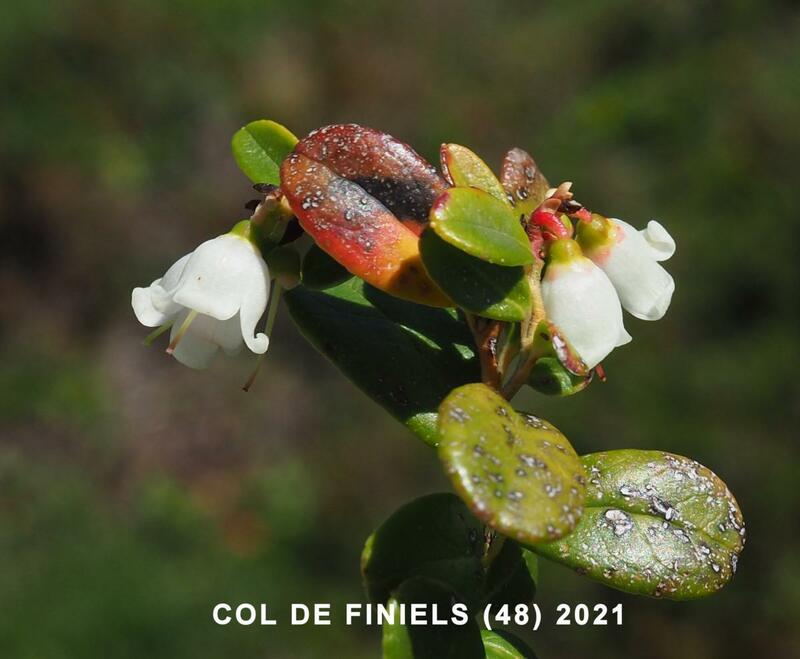 Habitat : (s'ouvrir nouvelle page) :Secondaire : Tourbières hautes actives, Landes basses à bruyère, à callune ou à myrtille, Landes des sommets, Forêts de pin sylvestre sur silice. Sous-arbrisseau de 10-30 cm, à tiges radicantes à la base, à rameaux dressés, grêles, arrondis, verts, finement pubescents . Écologie : Pâturages et bois ; les montagnes : Vosges, Jura, Alpes, Morvan; Forez, Cévennes, Auvergne ; Normandie et région parisienne; Ariège. Répartition hors de France : Europe centrale et boréale; Caucase, Sibérie, Japon; Amérique boréale. 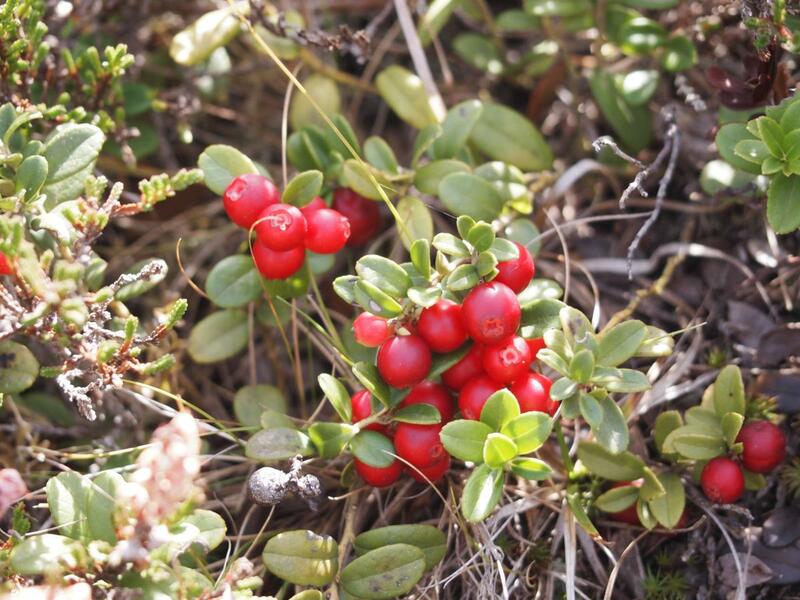 The cowberry is a small evergreen shrub with a creeping rhizome and erect or decumbent, often arching stems 7-22 cm high. 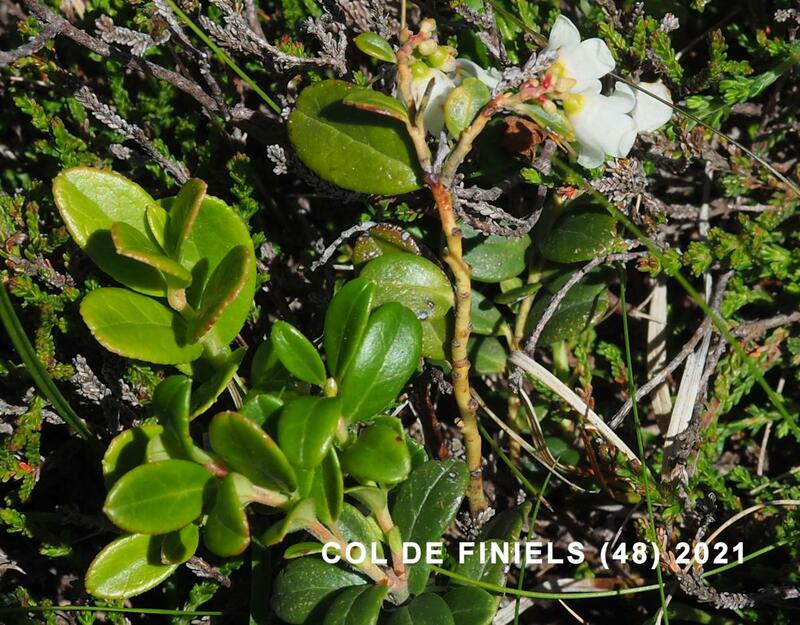 Ecology UK: grows on moors and in woods on acid soils throughout the British Isles except the E. and S.E. counties north to the Tyne and Lune. Flowers: 6-8 mm diam., in short, drooping, terminal racemes; corolla white tinged with pink, campanulate, lobes triangular, somewhat spreading; stamens not spurred. 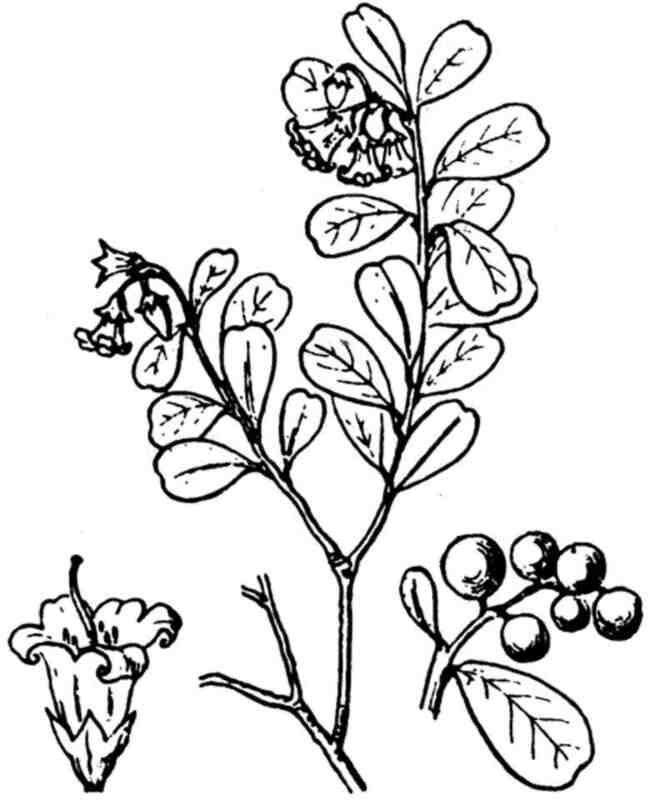 Leaves: dark green, ovate, entire, coriaceous, thick, evergreen. 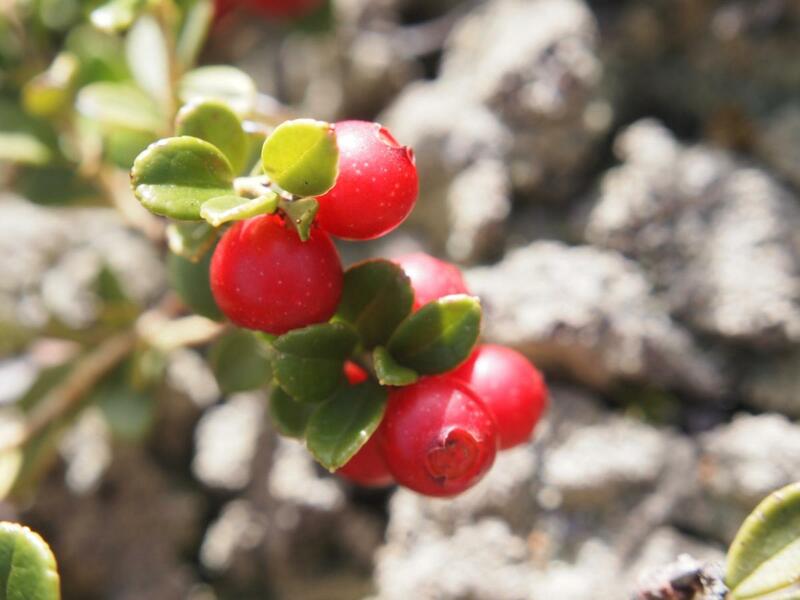 Fruit : baies globuleuses, rouges, acidules. Fruit: Berry 2-5-3-0 mm diam., globose, yellow tinged with red, or red, juice not staining; seed 2 x 1 mm, cuneoid, compressed, finely netted.